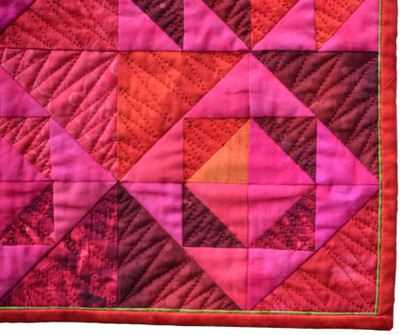 This quilt is the big brother of Order to Chaos, using the same colourway and unit, and exploring the idea of disintegration of pattern on a larger scale. It was made for the A Taste of the Tropics category at the National Quilt Championships at Sandown, where it was awarded a Judges Merit. 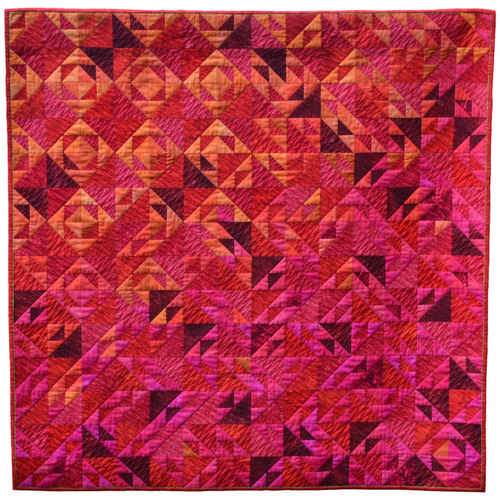 It has also been selected for the Quilters' Guild and ICHF travelling exhibition Pieced Patterns (2012/13). Materials: Hand-dyed and commercial batik fabrics. 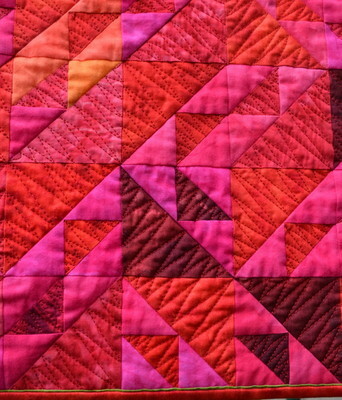 Method: Machine piecing and free machine quilting. Copyright © Terry Donaldson 2010. All rights reserved.